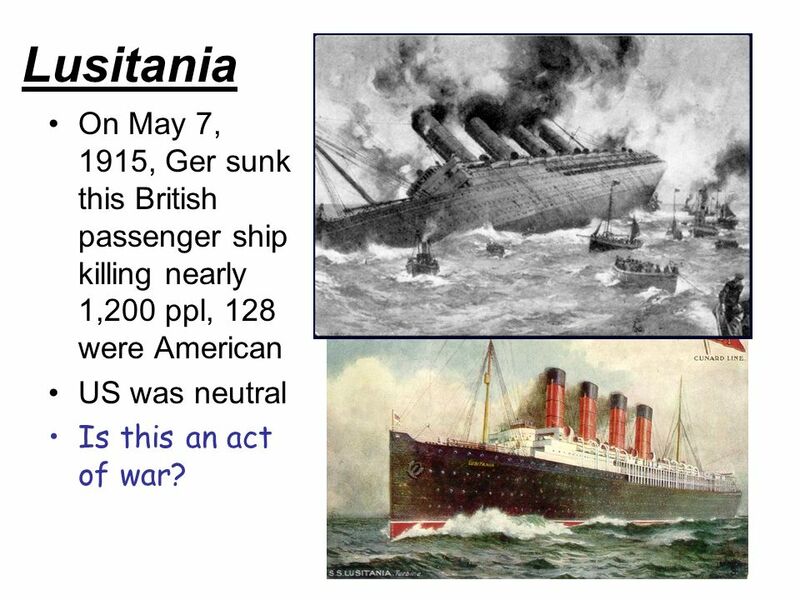 4 Lusitania On May 7, 1915, Ger sunk this British passenger ship killing nearly 1,200 ppl, 128 were American US was neutral Is this an act of war? 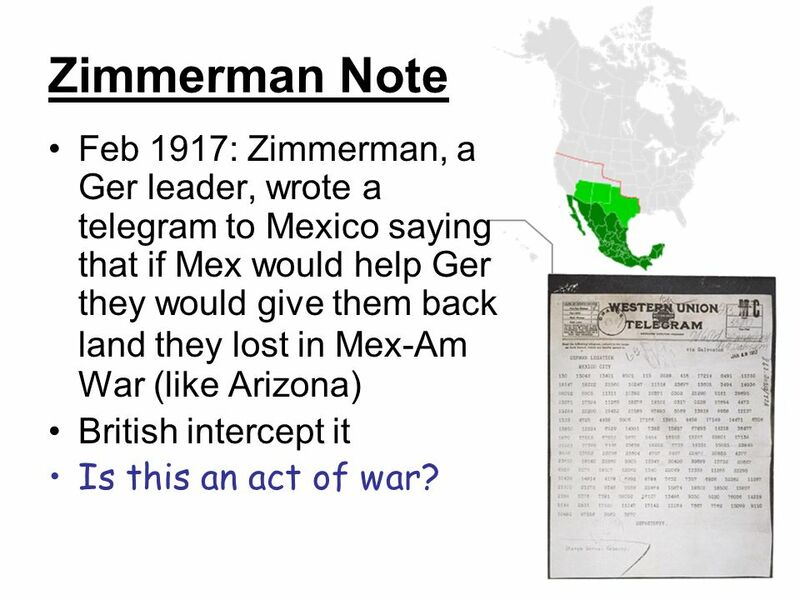 6 Zimmerman Note Feb 1917: Zimmerman, a Ger leader, wrote a telegram to Mexico saying that if Mex would help Ger they would give them back land they lost in Mex-Am War (like Arizona) British intercept it Is this an act of war? 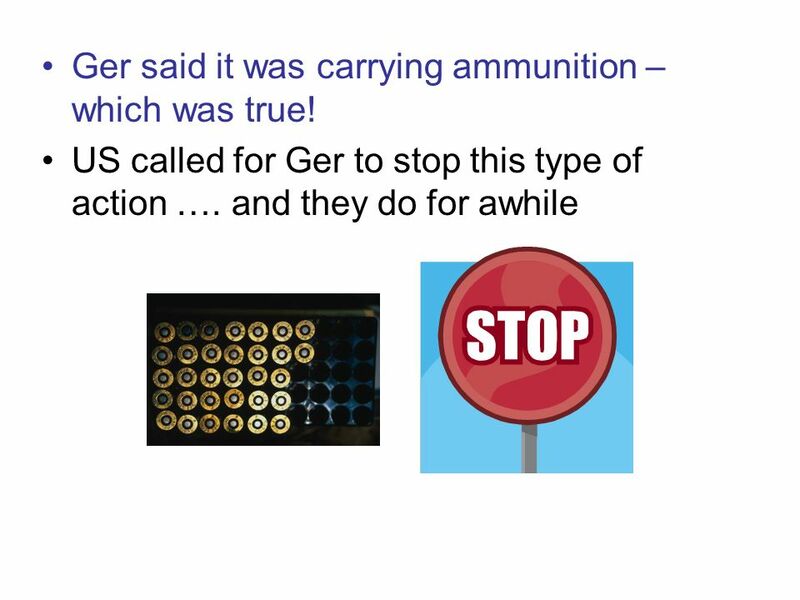 8 Did the U.S. need to enter into World War One? 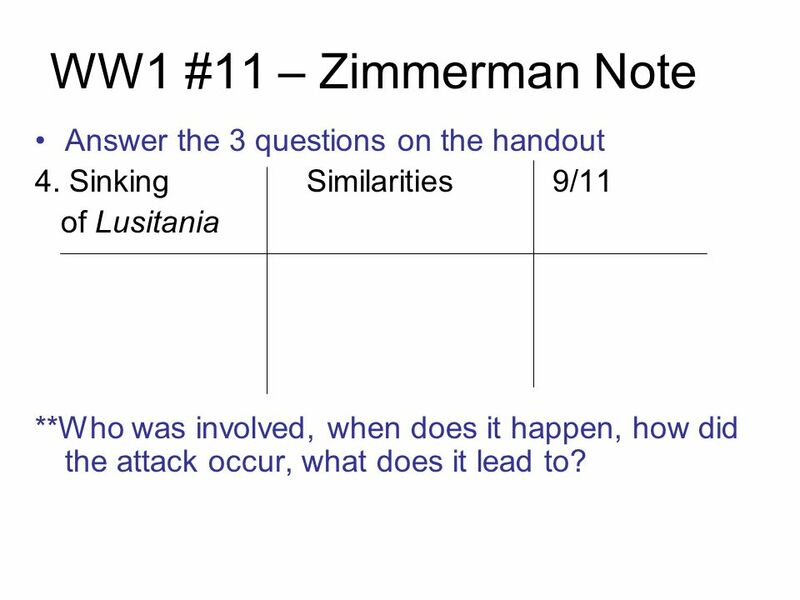 9 WW1 #11 – Zimmerman Note Answer the 3 questions on the handout 4. 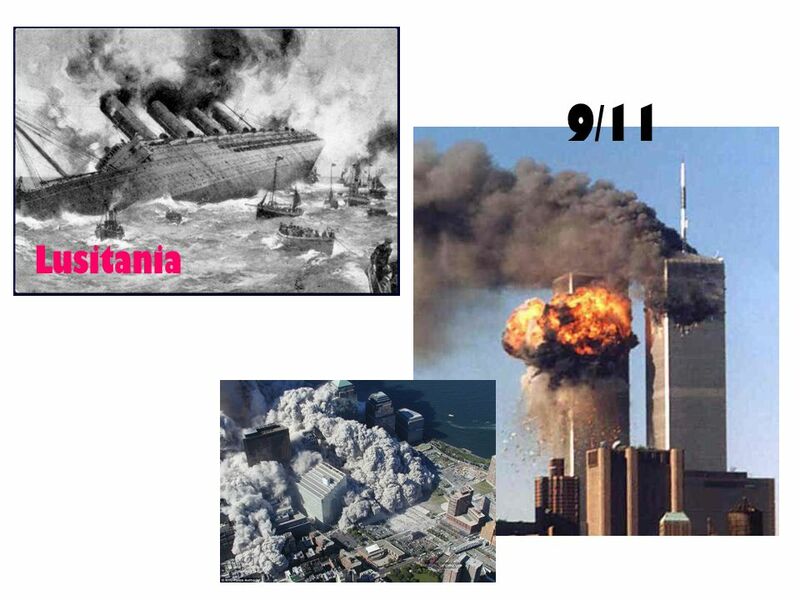 Sinking Similarities 9/11 of Lusitania **Who was involved, when does it happen, how did the attack occur, what does it lead to? 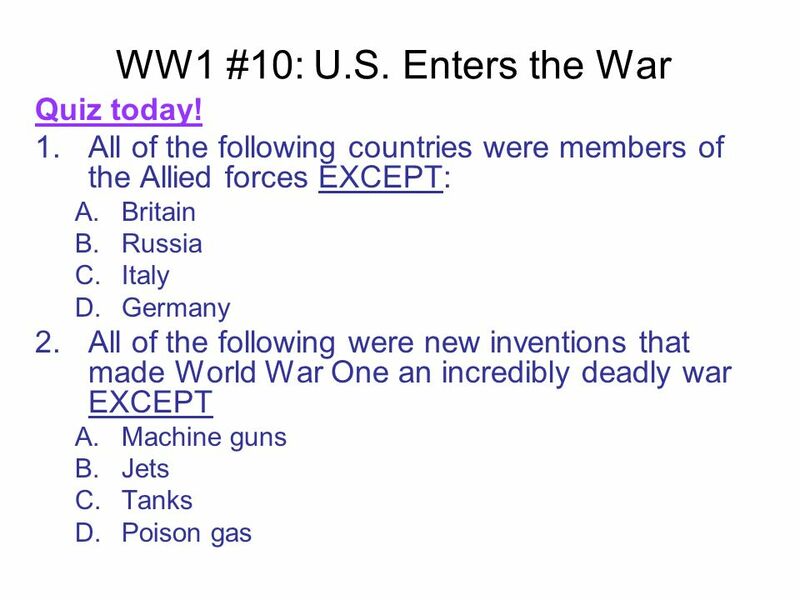 Download ppt "WW1 #10: U.S. Enters the War Quiz today! 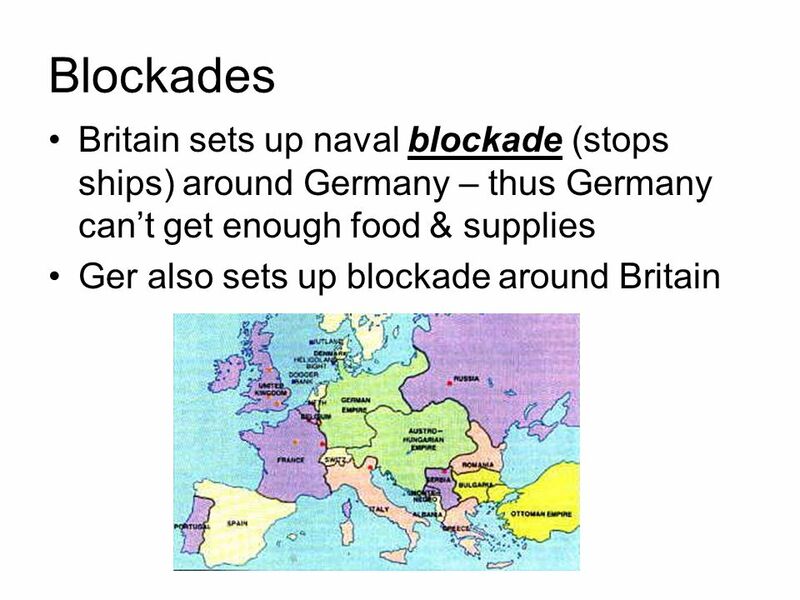 1.All of the following countries were members of the Allied forces EXCEPT: A.Britain B.Russia C.Italy D.Germany." The World At War Chapter 18. On the Rise in 1914 POSITIVES -Steel, Coal, Iron were making large profits -Selling goods around the world -Automobiles. EQ: Why did the US join the war effort?. 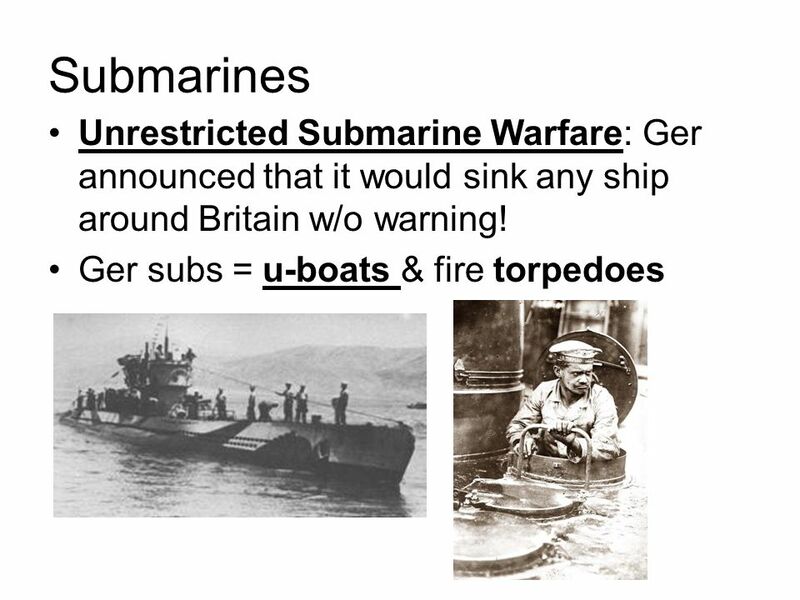 War starts in 1914 US declares it will remain neutral The US won’t join until 1917 What happened in those three. 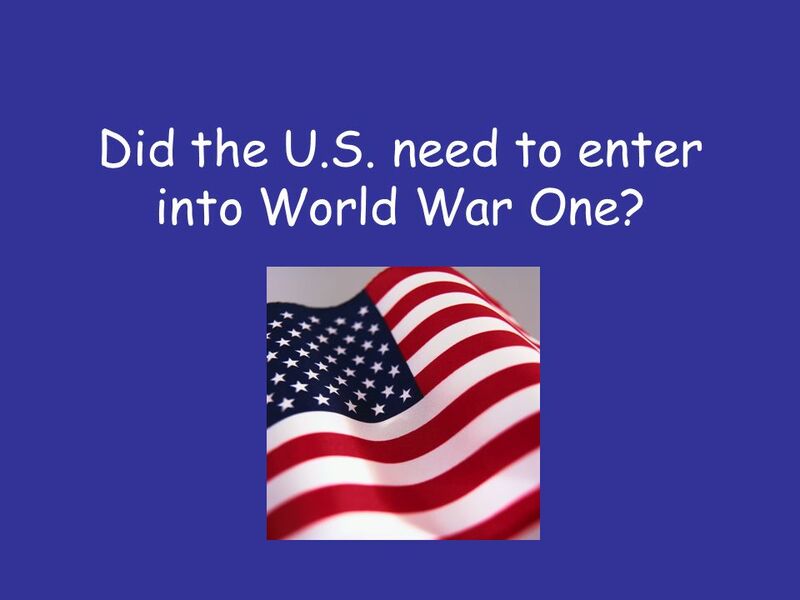 World War I The United States Enters the War. President Woodrow Wilson  Democrat  Moral Isolationist. World War I Part II. Recap Stalemate on western front –Trench warfare Russia vs. Germany on eastern front front –Kept full German army from fighting at. 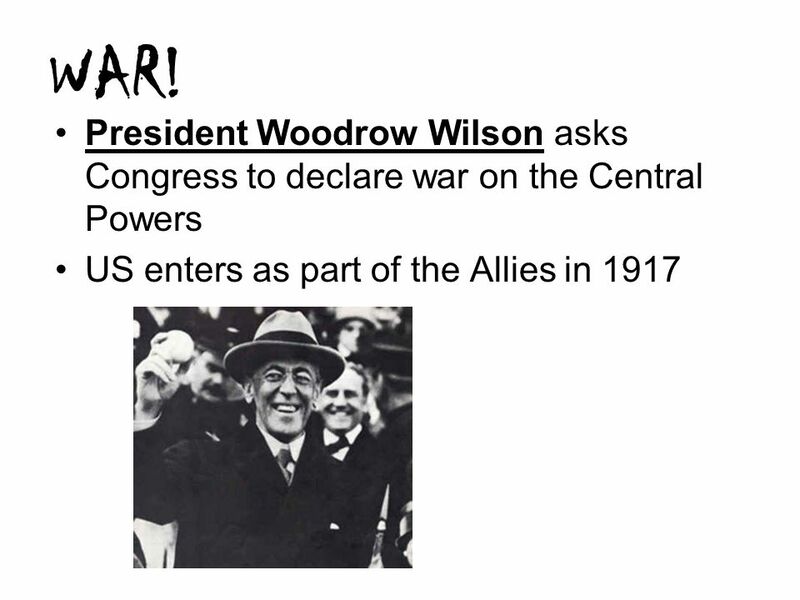 US INVOLVEMENT IN WWI US Neutrality President Woodrow Wilson Tried to keep United States out of WWI from 1914-1917 Tried to act a mediator between Allied.